In all, 24 teams registered under the Federation umbrella, with approximately 350 participants in the 5K Hunger Walk/Run. 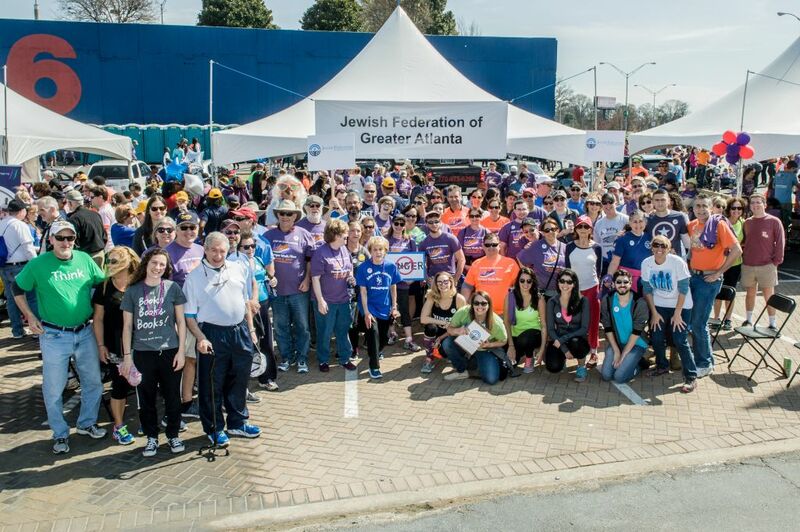 Photo courtesy of Federation Atlanta Community Food Bank President and CEO Kyle Waide (kneeling, in orange) joins the Jewish community’s Hunger Walk/Run participants in front of the Federation tent in March 2017. Spirits always run high at the Atlanta Community Food Bank’s Hunger Walk/Run, and this year was no exception. It’s a feel-good annual event where the entire city bands together, from performers and food trucks to faith groups and corporations, to raise money to fight local hunger. The Atlanta Jewish Music Festival All-Stars again provided entertainment along the route for runners and walkers. 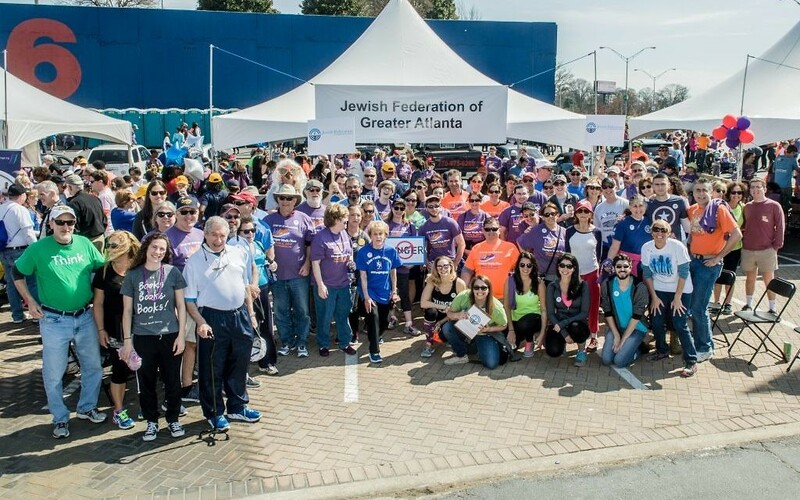 Sunday, March 5, at the venue formerly known as Turner Field, the Jewish community participated under the guidance of Stephanie Wyatt of the Jewish Federation of Greater Atlanta and with the leadership of returning walk co-chairs Bebe Kaplan and Robert Frohlich. In all, 24 teams registered under the Federation umbrella, with approximately 350 participants in the 5K Hunger Walk/Run. Although donations will be accepted at the food bank’s website through March 31 (bit.ly/2nYW2bt), the community’s total is approaching $71,000. Champions Club membership for people who raise more than $500 is up from 10 in 2016 to 13 people this year. The top 10 Jewish teams are Sally’s Friends, Goody Two Shoes, Frohlich’s Frolics and Singer COH, as well as Temples Emanu-El, Sinai and Kehillat Chaim and Congregations Or Hadash, Dor Tamid and Shearith Israel. Other notable community teams include Federation Young Adults, Jewish Family & Career Services and the Epstein Eagles. Stacy and Isaac Fialkow are all smiles after their 5K walk. As the only of five participating Hunger Walk partners that distributes money back out, Federation operates under a 40/60 split: 40 percent of the money raised by teams under the Federation goes to the food bank. The remaining 60 percent is funneled to a Federation committee for distribution to hunger-based organizations within and outside the Jewish community. This vetting process will culminate in early May when the allocations committee makes the final fund distribution decisions. 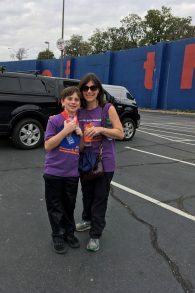 Sally Kaplan, a one-woman tour de force who smashes her fundraising efforts for the Hunger Walk year after year to honor the tradition of her mother, Helen Cavalier, is the largest individual fundraiser in Hunger Walk history. Annette Marcus is the second-largest individual fundraiser. 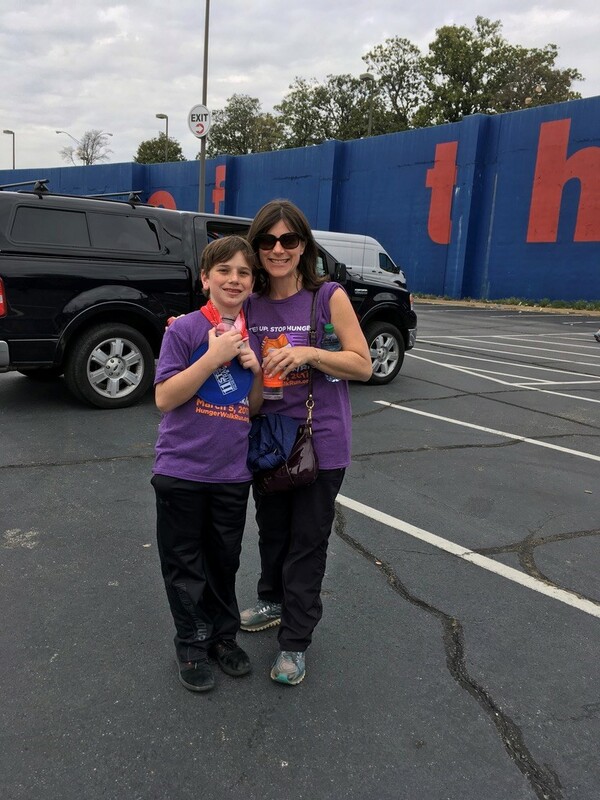 Kaplan has raised almost $400,000 for the Hunger Walk through her annual campaigns; including the money she has brought in, the Jewish community has raised almost $1.1 million since the food bank began keeping records for benefitting partners in 1996. One reason Federation CEO and President Eric Robbins mentioned for liking the walk: He sees people from the community he doesn’t see any other time of the year.